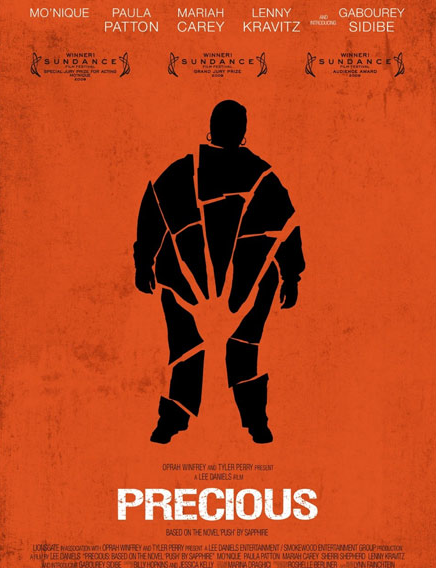 Tonight I watched the movie Precious. Though I’d read the book it’s based on (Push), I wasn’t quite sure what to expect in the cinematic version. The book had been very graphic and complex and difficult to get through at times. Though I read it in one night back in January, I cried and wanted to throw things when reading it — the injustices are just sickening.